discusses her latest book, Runaway Eating: The 8-Point Plan To Conquer Adult Food And Weight Obsessions. 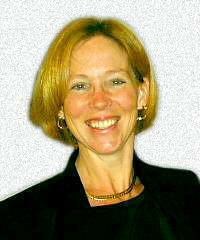 Dr. Cynthia Bulik, Clinical Psychologist, is the William R. and Jeanne H. Jordan Distinguished Professor of Eating Disorders at the University of North Carolina at Chapel Hill. She is also a professor of nutrition in the School of Public Health and the director of the UNC Eating Disorders Program. In their new book, Runaway Eating: The 8-Point Plan To Conquer Adult Food And Weight Obsessions, Bulik and co-author, dietitian Nadine Taylor, shed light on the physical and psychological factors that drive runaway eating and show women how to regain a healthy relationship with food. Strategies are provided for dealing with problematic eating behaviors, particularly those that affect women in midlife. In understanding our eating disorders, the authors examine the underlying causes of runaway eating and address the complex array of factors responsible for its increase in recent years. More and more women, especially those between the ages of 35 and 60, are developing symptoms of runaway eating as they struggle to cope with the stresses of menopause, empty nest syndrome, caring for ailing parents, work overload, and cultural emphasis on youth and beauty. by Cynthia M. Bulik, Ph.D., and Nadine Taylor, M.S., R.D. Midlife eating disorders, whether full-blown or in their milder form, are most often triggered by diets. So step one in freeing yourself of food and weight obsessions is to throw out the diet. by Nadine Taylor, M.S., R.D. Do you sometimes feel out of control around food? Does stress or depression make you head straight for the chocolate cake? Are you constantly thinking about food, diets or weight loss? Do you fast or force yourself to sweat through long sessions at the gym after a bout of overeating? Do you feel bad about your body, your weight, or your relationship with food? You have an out-of-control food binge once or twice a month – but that’s not often enough to be considered Binge Eating Disorder. You fast a lot, or eat very, very little, but your weight isn't low enough for a diagnosis of anorexia. You binge and purge (induce vomiting, abuse laxatives or diuretics, or exercise excessively), but not often enough to be diagnosed with bulimia. While problem eating behaviors have long been the province of teenage girls, in recent years more and more women have developed midlife eating disorders. But millions more have developed eating problems that aren’t severe enough to be considered "eating disorders," and may suffer from mildly disordered eating or occasional symptoms. These women (perhaps 25% of the female population) typically have to go it alone. Often, they blame themselves for being undisciplined, weak or just plain lazy. But we’ve learned that in many cases out of control eating behaviors are not character flaws. These problems are actually driven by anxiety, depression, perfectionism, menopausal symptoms, certain types of thinking and, especially, dieting. The solution to Runaway Eating, then, is not to go on another diet, but to ease anxiety and depression, control menopausal symptoms, change the way you think about yourself, diets and food, and re-establish a healthy relationship with food. Only then can you leave Runaway Eating behind for good. Sound like a tall order? It can be, but it’s worth every ounce of effort. A good place to start is by lowering your stress levels. If you’re like most midlife women, you hold down a full-time job, raise children, care for aging parents, deal with the hormonal swings of menopause, and bear much of the brunt of big financial burdens like paying for college or weddings. You may also be dealing with marital troubles, divorce, or re-entry into the dating world. Is it any wonder that midlife women are society’s most stressed, anxious and depressed group? Or that they turn to eating or eating-related behaviors for relief? Yet too much stress is only part of the problem. The Runaway Eater also suffers from low self-esteem, and tries to increase her "worth" by getting slimmer. She may also be a perfectionist who sets the bar too high, ensuring that she will fail. She puts herself on a very rigid diet, aims to achieve an impractical weight, and gives herself no leeway. In her mind, either she’s perfect or she’s a failure; either she follows the diet to the letter or she goes off of it with a vengeance. There is no middle ground. With so much at stake, the Runaway Eater’s anxiety levels soar, and she’s plagued by depression and self-doubt. Thoughts of food, diets and weight consume her, and, inevitably, she ends up eating something that isn’t on her diet. Then, all bets are off. She throws up her hands and says, "Well, now that I’ve blown it, I might as well just eat." And once she starts eating, she just can’t stop herself. She eats and eats until she feels absolutely disgusted with herself. Some Runaway Eaters then compensate for the binge by purging, fasting, or exercising for hours, but all of them resolve to go on an even more stringent diet the next day. The cycle is doomed to repeat itself, while weight loss becomes even more elusive as the metabolism decreases and hunger increases in response to "famine" conditions. Why do Runaway Eaters do it? The obvious answer is that they want to get thin. But Runaway Eating is also a convenient way to avoid dealing with difficult life problems. Food, weight and diet obsessions take up a lot of time, concentration and energy – so much that it can be easy to ignore other troubles. There are also some more immediate benefits from Runaway Eating behaviors: restricting can bring a sense of structure and control to an otherwise out-of-control life; bingeing can be comforting or soothing; and purging can be a way to relieve anxiety after bingeing, or a way to express anger for those who keep their angry feelings to themselves. Fortunately, you can conquer Runaway Eating. The secret is to figure out what’s setting you off. Then eat regularly, replace unhealthy thoughts with healthier ones, and attack the anxiety, depression and perfectionism that fuel your behaviors. There is hope for the millions of women who suffer from out-of-control eating behaviors, but understanding must come first.